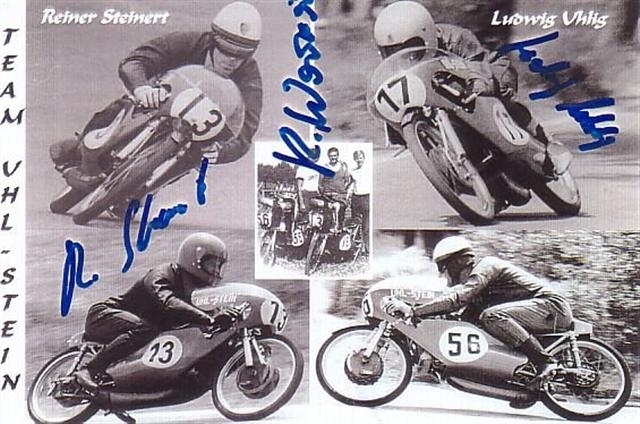 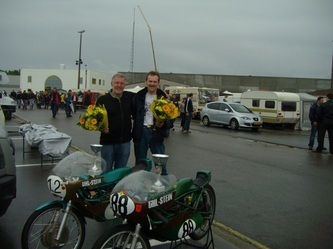 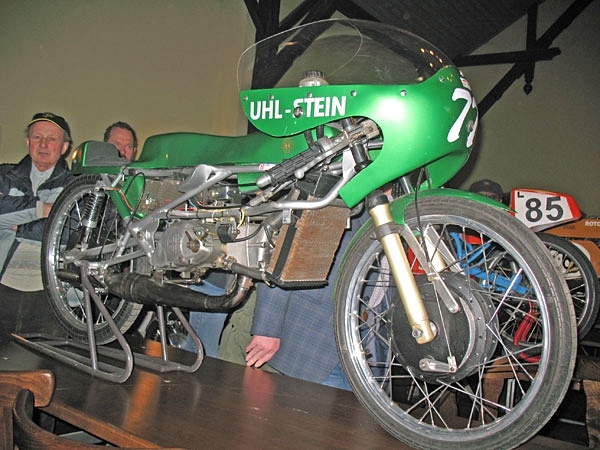 The Uhl-Stein racers are named after Ludwig Uhlig and Reiner Steinert. 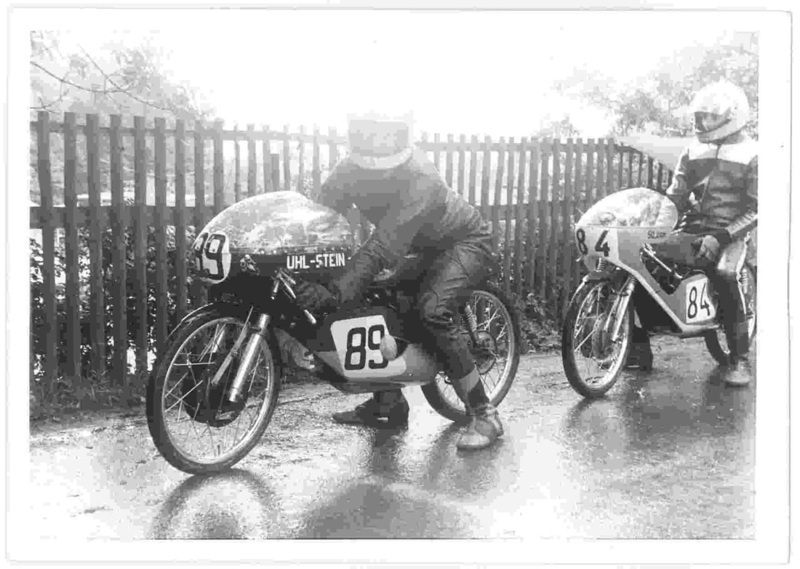 These two were both riders and builders in the Uhl-Stein team. 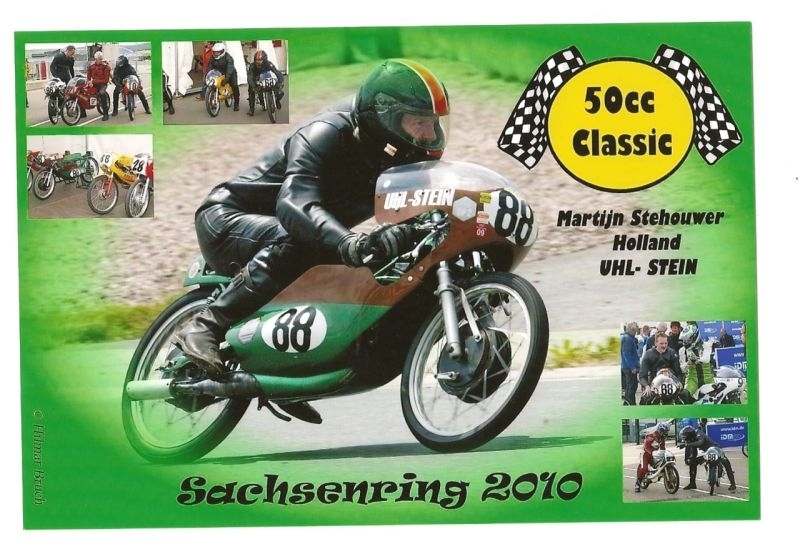 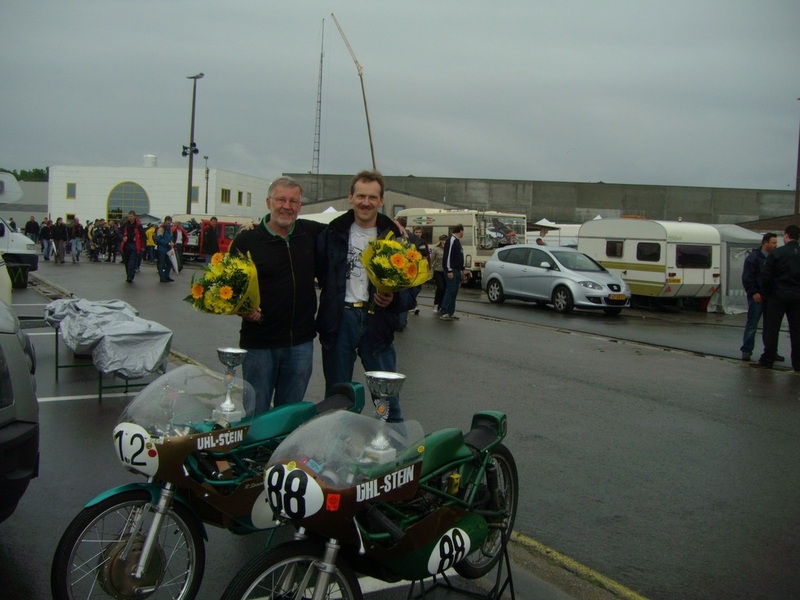 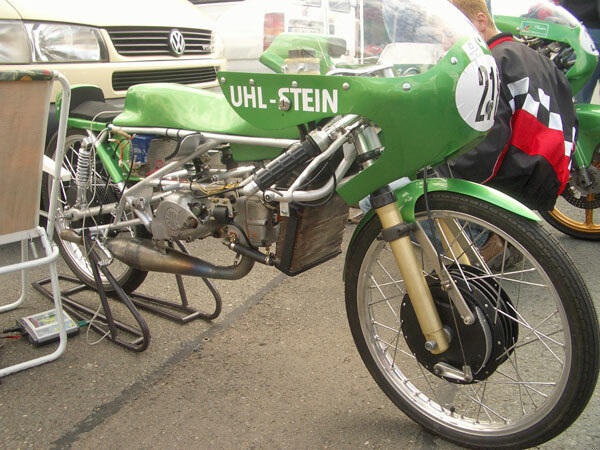 The Uhl-Stein team was very successful ,even at the Sachsenring Grandprix where they got a 6.place amongst the worlds fastest. 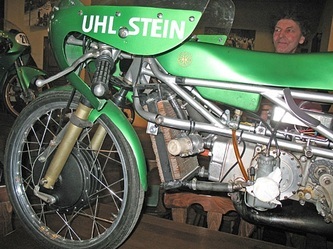 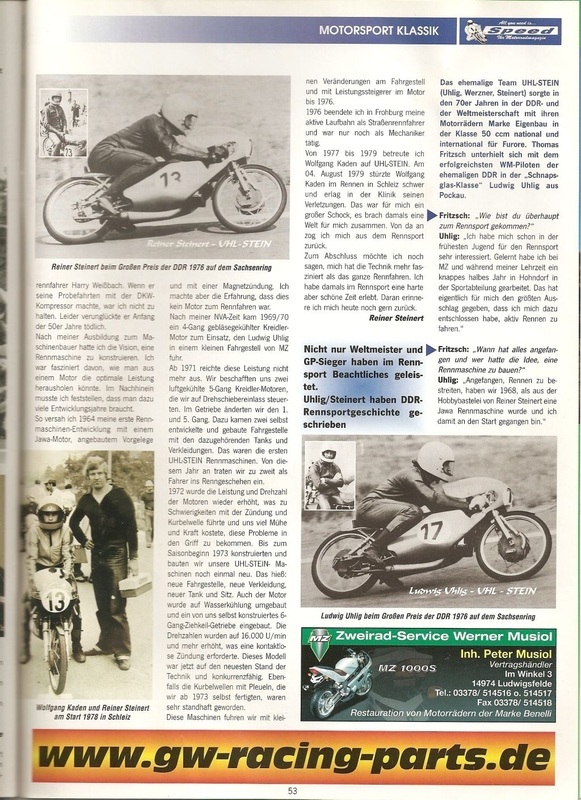 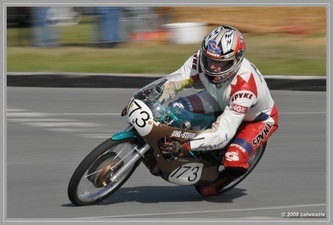 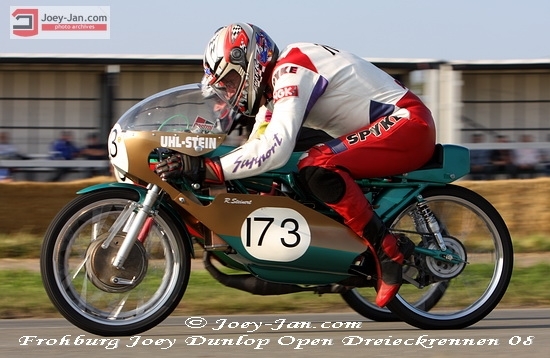 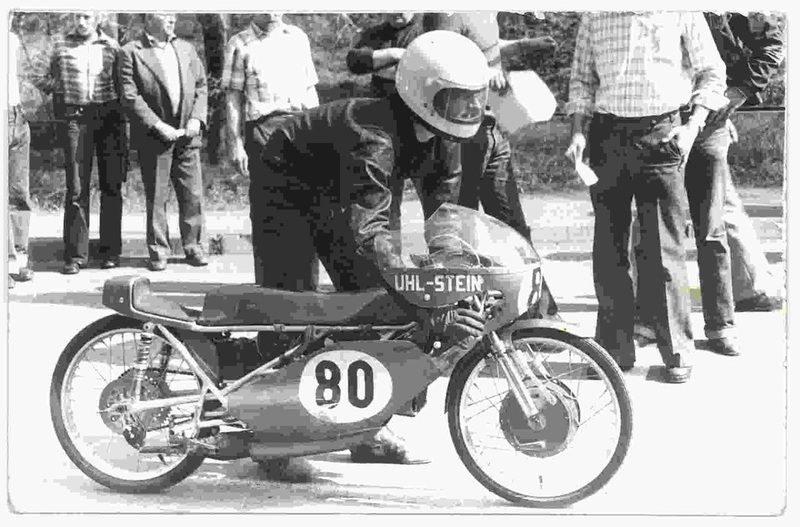 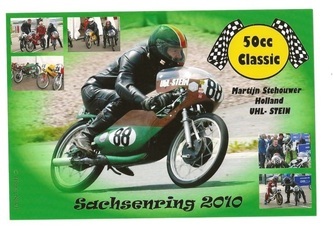 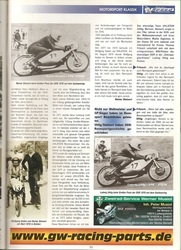 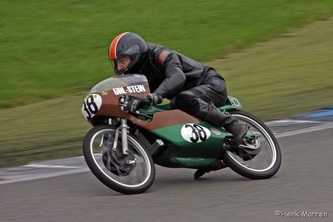 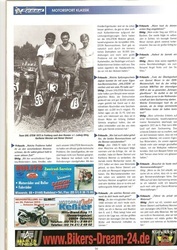 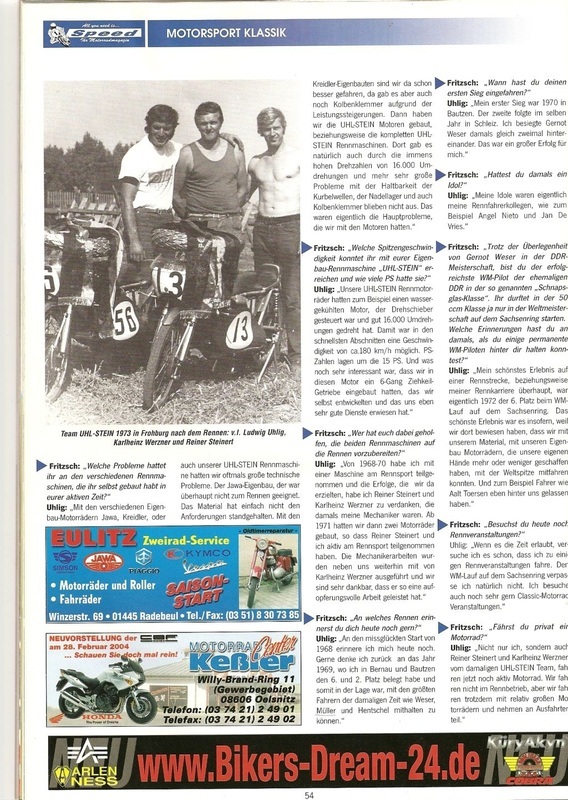 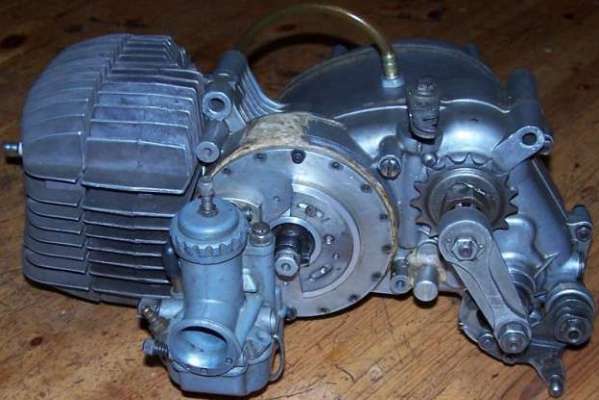 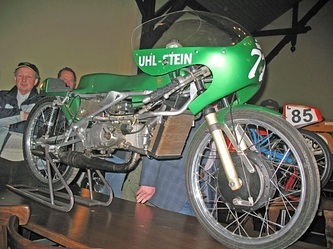 The first Uhl-Stein racer based on a Jawa engine ,but from 1969 onwards the Uhl-Stein engines are a Kreidler engine casing with internals made by Reiner Steinert. 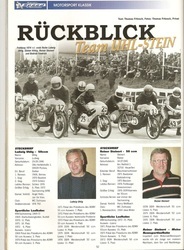 After 1976 the team stopped ,and the bikes were sold. One Uhl-Stein ,ridden by Martijn stehouwer ,was 2x european champion classic 50 racing in 2009 and 2010.